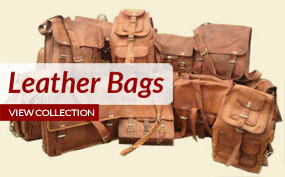 100% Genuine leather Products | Lining 100% Canvas I (MADE IN INDIA) Buy with confident | 30 Days Return Policy. We are manufacturer and wholesaler of leather goods and specialized in Office Briefcases, Office Bag, College School bags, Travel Bag, Handbags, Purses, Wallets, leather journals and diaries and many more. We use quality leather of Goats and Camel. 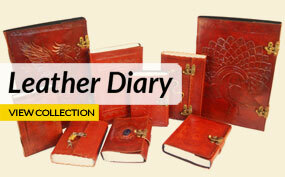 We offers customize designing and wholesale prices for bulk order.